Today's libraries are not just for books, computers and magazines – the Salem Church Branch now has its own geocache! In geocaching, participants obtain the location of a geocache from a geocaching web site use a GPS to arrive in the area of the cache, and then follow clues or simply hunt for the cache. There are over 1000 caches waiting to be found within a 25 mile radius of the Fredericksburg area! Libraries and geocaching seem to be made for each other. First they create a means of uniting the virtual and the real worlds, allowing people to explore both the library building and its resources. Second, they engage people and create community through real life experiences, such as the sudden discovery of a new idea or place that can be transformative. Third, they have a wide appeal across age groups and allow for family or team co-operation and interaction. 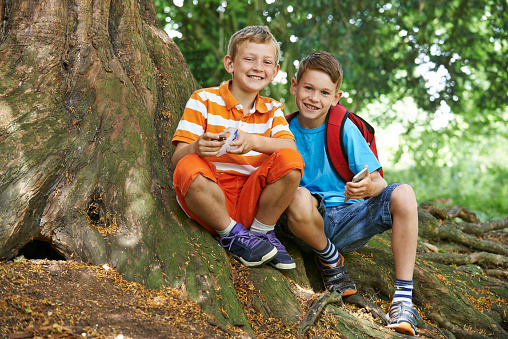 Come by the Salem Church Branch and give the sport of Geocaching a try!